1nfusion is a well-funded start-up, located in Zürich close to Limmatplatz. Our goal is to make infusion therapy safe, accurate and easy to use. We combine expertise in sensor technology and the infusion device market with a passionate company culture to challenge the boundaries of today’s solutions. We believe that a small, motivated team of skilled individuals can successfully take on big problems and provide outstanding solutions. We are looking for a talent to join this team. 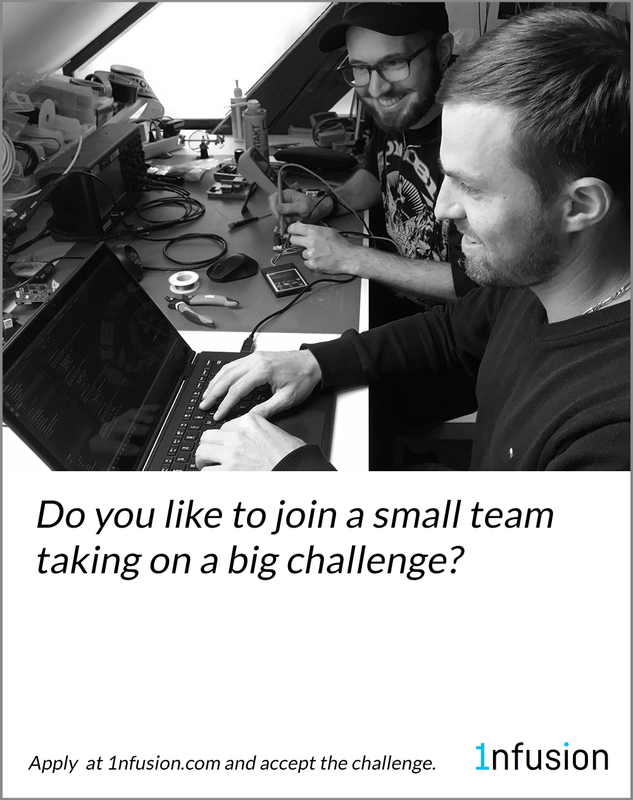 Are you willing to work within a small team in a constantly moving environment and new challenges every day? Are you eager to learn and acquire new skills? Do you want to take responsibility for an important part of the software of our product? Do you like to save lives and help hospital staff every day all around the world? To us, the personality and attitude of a person is as important as the qualifications. This is why we use a questionnaire with a strong focus on soft skills. After you have filled out the questionnaire you will receive the result of the personality analysis. We are curious to learn more about you. Our recruiting is supported by a fantastic team and we would like to thank Katina Strimer and softfactors.com for the great collaboration that we have had in our recruiting process. Katina Strimer is a senior consultant at KS Projects, a driven, creative specialist for employer branding and an absolute joy to work with. Click here to see her LinkedIn profile. Softfactors is a recruiting solution that measures and compares both resumes and soft skills. Their solution adds the personal aspect to the recruiting process which helped us significantly to find the right candidate for our position. Click here to see their homepage.